Most of us are extremely affectionate towards our hair. We tend to try each and every possible remedy and quick fix we find, so that we always look our best. But did you know there are some common mistakes many of us unknowingly commit that actually harm our hair more than they help it? In this post, we will explain 10 of these mistakes that you are better off avoiding. Read about them below. The vast majority of us feel that due to the immense pollution present around us, we must shampoo our hair daily. This is one of the most common mistakes that most of us are all guilty of. Shampooing your hair daily increases the contact of your hair with the chemicals in the product, which can harm your hair roots on excessive usage. It also strips your hair of its natural oils, leaving it dry and more prone to hair fall. The ideal frequency of shampooing should be once every 2-3 days, excluding the few days your hair has been excessively exposed to dirt and chemicals. This is again one of the most prevalent mistakes. Due to our hectic timelines and everyday working habits, we feel that the best way to dry our hair is the quickest way – blow drying it. That’s actually not the case. After hair is washed, it should be left to dry naturally. Once it is semi-dry, a dryer may be used on your hair occasionally, but make sure you do not overdo it. 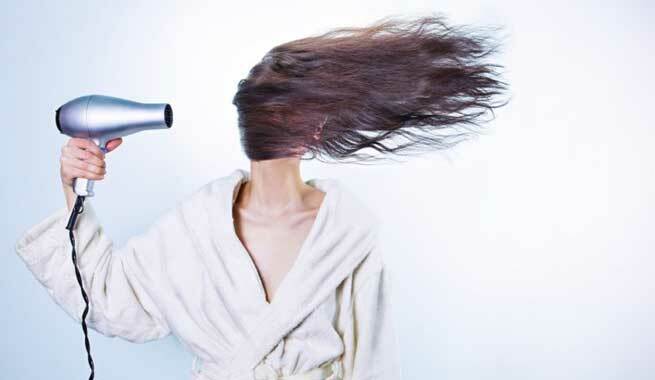 Blow drying removes the surface water of your hair and causes your hair cuticles to become rigid, dry, and brittle. If you take precautions and make sure you don’t wash and shampoo your hair daily, daily blow drying can easily be avoided as well. In an attempt to prevent our hair from tangling and knotting, many of us have a tendency to comb it while it is still wet. However, this should be avoided as it can lead to hair damage and hair fall. Hair should be semi-dry before you attempt to comb it. If you really need to step out in a hurry, you can gently comb through the tips of your hair from below to detangle them. Do make sure they dry off completely before you attempt combing them from above. 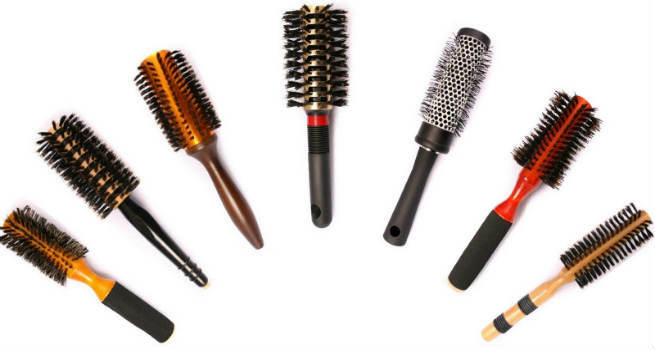 There are various types of brushes and combs available so that a range of hair textures and styles can be catered to individuals. A common mistake many of us commit is using a hair brush or comb that is inappropriate for our particular hair type. You must find out what hair brush or comb is best suited for your hair and be sure to specifically use that one. If you are unsure of which one to use, there are numerous guides online you can follow, or simply ask a hair specialist at your local shop. Another common mistake most of us are guilty of is the use of dirty hair brushes and combs. While running these styling tools through our hair, a lot of dust, dirt, and grime gets caught between the bristles or teeth. It is therefore important to clean them periodically. Once a week is ideal, but once in two weeks will suffice. Hair sprays are often used under the impression that they will enhance our hair quality. That’s a huge misconception. Hair sprays are formulated with hardening substances in order to keep your hair in place. These ingredients dehydrate your hair strands by depleting the natural level of moisture in your hair. It is best to completely avoid hair sprays, unless your hair is extremely unmanageable and you have an important event to attend with less time on your hands. Almost everyone has experienced dandruff at some point in time. Many of us avoid treating it right off the bat and instead take measures to hide it, mask it, or style our hair around it as a means of concealing it. 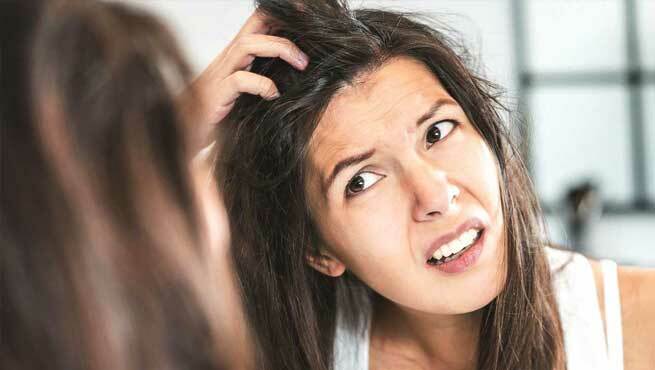 Dandruff is a major cause of hair loss and should not be taken lightly. As soon as you discover dandruff, use an anti-dandruff shampoo to remove it completely. If it still persists after a few uses, consult a dermatologist for assistance. A lot of us have a habit of constantly combing our hair, thinking it will look softer and mess-free. In reality, our hair only requires 3-4 comb or brush strokes to detangle them! More than this, and the natural minerals present in our hair get depleted. Unfortunately, most of us keep giving into our urges and comb it every now and then, several times a day. This leads to intense hair damage and hair fall and should be avoided. Sometimes, we get carried away with our enthusiasm and end up picking up a pair of scissors and cutting our own hair. Oftentimes, people do this to remove grey hairs, to prove a point to others, or just to style it instantly. Whatever the reason may be, do not cut your own hair unless you are trained in doing so. Always get it cut by a professional, so that proper care and techniques are used to avoid damage. Most of us keep postponing our haircut schedules for months together. This is a common mistake committed by those who are either trying to grow their hair out or are just simply lazy. In order to have damage-free hair, you should strictly follow a haircut schedule. Even just a small trim every few weeks can keep split-ends away and lead to healthy tips of hair. It is our responsibility to know the type and texture of our hair as well as the level and frequency of styling that it can handle. Over-styling one’s hair is a mistake that leads to hair damage and even hair fall. There is a lot of individual variation when it comes to safe time periods between styling sessions, so the rule of thumb is to style it weekly once and then gradually increase or decrease it depending on how much damage it causes to your hair. And regardless of your hair type, always be sure to use a heat protectant before using a heated styling device! This list is not conclusive, but it highlights ten of the most common mistakes you should avoid to have a healthy head of hair. Do avoid these mistakes and you will see results within a few months. Manisha resides in New Delhi and has over 9 years of work experience in multiple industries. She is passionate about writing and travelling in her free time.